At Home (Sweet Home) This short film produced by Alison Glennie, aims to question the viewers sense of home, while capturing the zeitgeist around our national housing crisis. It is one element of a collaborative art installation, which features outsider artists supported by Cope Foundation. As a cross-disciplinary artist, Alison has focused on process over performance for many years. In curating a multi-layered art installation, Alison has combined several elements from her socially engaged practice; drama, documentary film and photography, in collaboration with visual artist Marie Cullen. This project provided an opportunity for off-site public engagement, with the recording and filming of short interviews on a topical theme and the articulation of wide-ranging views on the subject of shelter. Alison Glennie and Marie Cullen are practicing artists, who also facilitate arts workshops at Cope Foundation in West Cork. Pat Whooley produced the images of home and is supported by Cope Foundation. 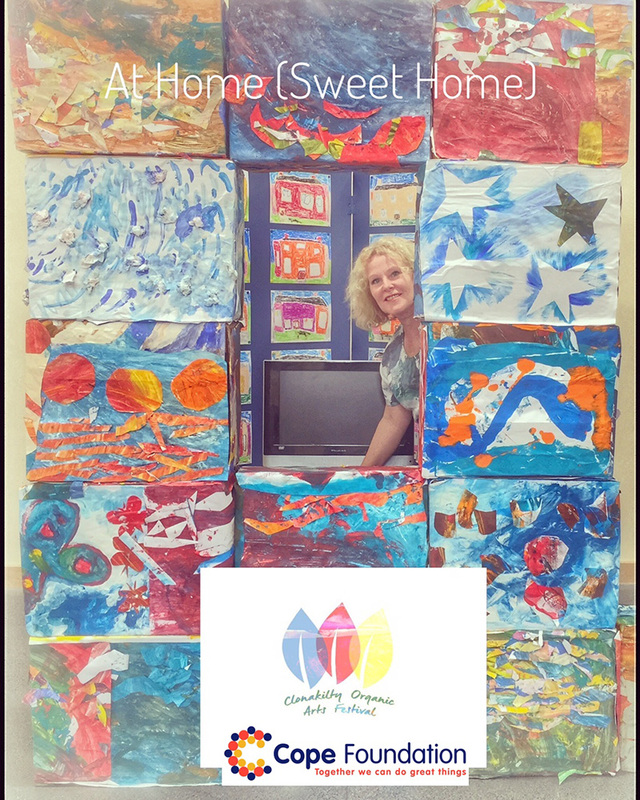 At Home (Sweet Home) will show at the Cope Foundation Gallery in Hartes Courtyard, during the Clonakilty Organic Arts Festival 15 -18th June. Silver Strands was an interdisciplinary, collaborative project that evolved from a series of drama workshops that were delivered to a group of residents, who reside in a mental health setting in West Cork, Ireland. Facilitator Alison Glennie collaborated with sound designer Fintan McKahey in documenting the project, which resulted in a short film, Silver Strands. This short film incorporated a segment of relaxation exercises, which has provided a continuing resource for the residents and staff of Perrott House in Skibbereen.